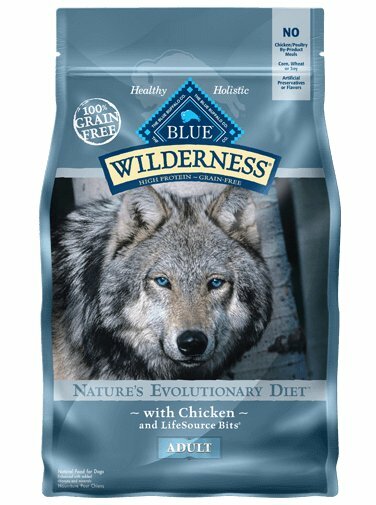 Home » Blue Buffalo Wilderness Chicken Adult Dry Dog Food 11 Lb. Blue Buffalo Wilderness Chicken Adult Dry Dog Food 11 Lb. And LifeSource Bits are "cold-formed" to help retain the potency of their ingredients. This means that we minimize the amount of heat that LifeSource Bits are exposed to during the manufacturing process. It’s the same concept as when you cook vegetables at high heat — the longer you do, the more heat-sensitive nutrients are lost.